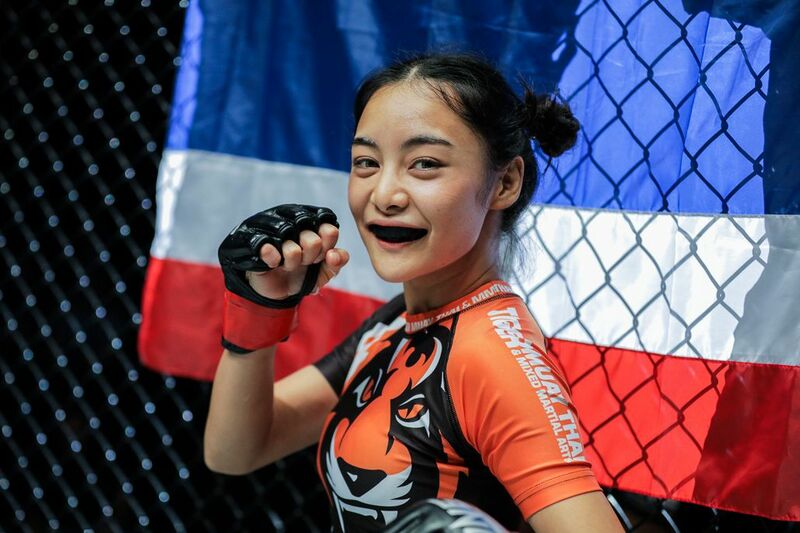 While her fierce demeanor in competition was seen on numerous occasions inside the ONE Championship cage, it was during her formative years where the future Thai martial arts superstar endured the fight of her life. With her teachers seemingly turning a blind eye to the bullying, Ishige decided to enroll in a martial arts class in a bid to equip herself with the skills needed to defend herself if the situation required it. Although she initially started learning martial arts for self-defense purposes, it led her to a continuous path of self-improvement. “You cannot change others, only yourself. You should get physical strength by working out or practicing martial arts to protect yourself from physical or sexual bullying. Also, you will build mental strength for dealing with verbal bullying, including cyberbullying,” she stated. By the time that she reached her twenties, Ishige dabbled into different combat disciplines such as Muay Thai and Brazilian Jiu-Jitsu. By strapping on four-ounce gloves, Ishige sees it as an honor and privilege to represent Thailand in ONE Championship. “Martial arts is my passion. I'm really happy when I share and learn new things about martial arts with others. I'm surrounded by people who support me in training. It makes me stronger. I am ready for this upcoming bout,” she guaranteed. The 28-year-old native of Bangkok, Thailand asserted that her fifth professional stint should serve as a platform for people to realize that martial arts has the ability to unleash an individual’s greatest potential. “Martial arts is not about fighting. Its real aim is to empower both men and women. I would like to continue this campaign for everyone who doesn't understand the beauty of this sport,” Ishige concluded.